1Department of Biological Sciences, Niger Delta University, Amassoma, Wilberforce Island, Bayelsa State, Nigeria. 2Department of Crop/Soil Science, Niger Delta University, Amassoma, Wilberforce Island, Bayelsa State, Nigeria. *To whom correspondence should be addressed. E-mail: ebimieoweietebu@ndu.edu.ng. Received 04 April, 2018; Received in revised form 18 June, 2018; Accepted 04 July, 2018. Irvingia gabonensis, Operational taxonomic units, Internal transcribed spacer region, rRNA, Fungi, Simpson’s diversity. The use of culture-dependent assays in studying microbial communities are limited to the cultivable microorganisms, and do not represent the entire community of a sample. Hence, in this study, metagenomic analysis targeting the internal transcribed spacer (ITS) region of ribosomal RNA genes was used to study the taxonomic diversity and structure of the fungal community associated with postharvest Irvingia spp. fruit wastes. Results obtained show that Simpson’s diversity and the number of operational taxonomic units (OTUs) were dependent on the fruit storage period (days after harvest, DAH). Fresh fruits assessed on 0th, 3rd and 6th DAH had a Simpson’s diversity of 0.61, 0.70 and 0.57, respectively. Whilst a total of 14,403 fungal sequences belonging to 17 OTUs, 11 Genera, 5 Classes and 2 Divisions were amplified from Irvingia fruits at 0th DAH, 4,966 fungal sequences belonging to 20 OTUs, 15 Genera, 5 Classes and 2 Divisions were amplified from postharvest Irvingia fruits on the 3rd DAH. Meanwhile fungal sequences amplified from Irvingia fruits on the 6th DAH were 377 belonging to 11 OTUs, 8 Genera, 3 Classes and 1 Division. Predominant among the OTUs were sequences belonging to Issatchenkia hanoiensis, Pichia manshurica, Candida asparagi, Gliocephalotrichum bulbilium, Pichia spp., Saccharomycopsis vini, Schwanniomyces occidentalis and Galactomyces candidum. The majority of these fungi belong to Saccharomycetales; well known as good fermenters of sugar. 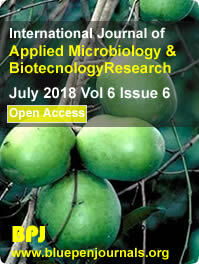 The comparative relative abundance of these yeasts on postharvest Irvingia fruits is a useful indication that these commodities could be a suitable substrate for ethanol production from fruit wastes.